Expired: Stevie B, The King of Freestyle Live! 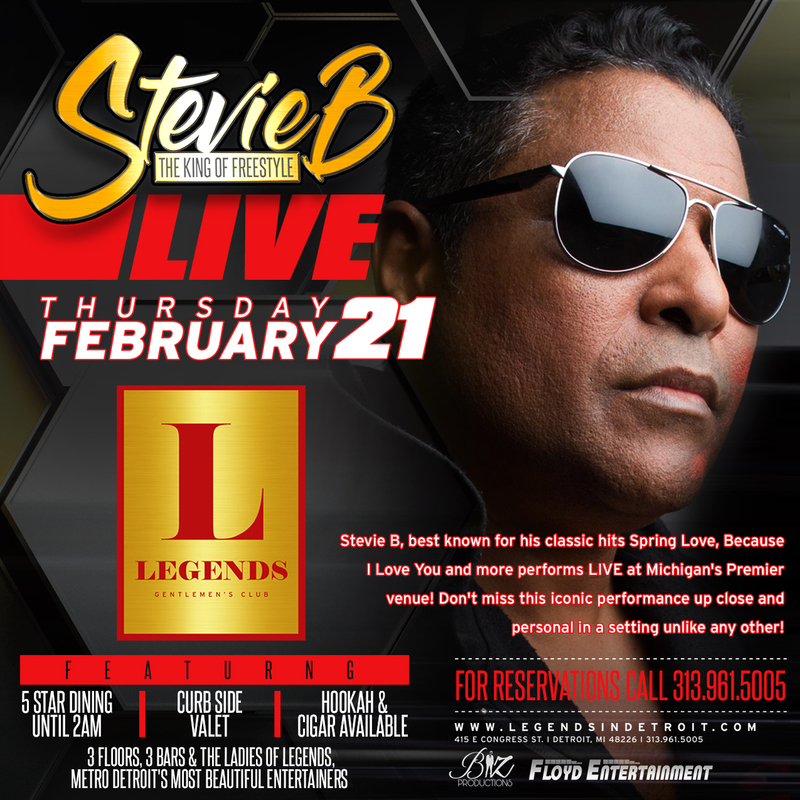 Stevie B, best known for his classic hits Spring Love, Because I Love You and more performs LIVE at Michigan’s Premier venue! Don’t miss this iconic performance up close and personal in a setting unlike any other! All sandwiches are served with hand -cut seasoned French fries. All entrées served with fresh daily vegetables and your choice of garlic-mashed potatoes, roasted red skins, baked potato or rice pilaf. Chicken Parmesan – Breaded chicken breast, baked with our house-made marinara sauce, fresh mozzarella and Parmesan cheese. SERVED WITH YOUR CHOICE OF MIXERS AND 3 CANS OF RED BULL.